Use a 4-quart slow cooker. Dump it all in. Stir well and cook on low for 4 hours, or high for about 2. 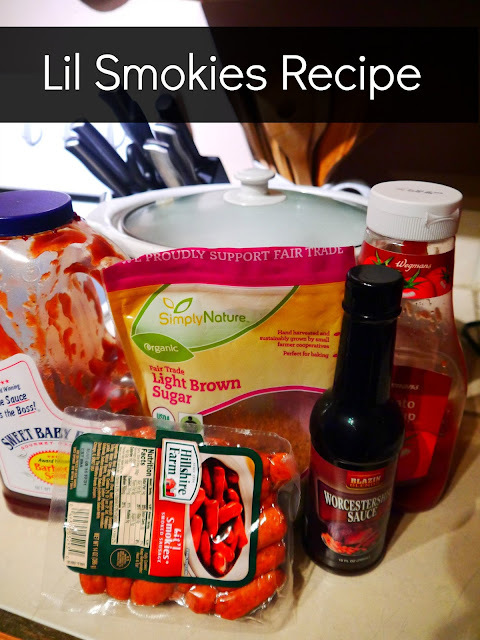 Make sure the smokies are hot throughout and serve out of the crock with toothpicks. OMGoodness these look so yummy! I need to make them this weekend. They would be awesome for the Memorial Day picnic!